On a whim, Bethanie Hestermann (LAS MA ’13) attended a Dinners on DePaul, a networking event for students and alumni, held in January 2013. She’d spent her career in magazine publishing but was looking to break into the book world. This event was the perfect way to hear from those in the field, and Hestermann directed several queries to Lisa Reardon (LAS MA ’02), acquisitions editor at Chicago Review Press. “My line of questioning got her attention,” Hestermann recalls. “After the dinner, she turned toward me and asked if I had any particular idea in mind.” Feeling empowered by the support of her friends and classmates, Hestermann verbally pitched Reardon an idea for a zoology book. “Her [jaw] dropped, and she said, ‘We have this For Kids series, and I think this would be great.’ She was super excited. It blew my mind,” says Hestermann. 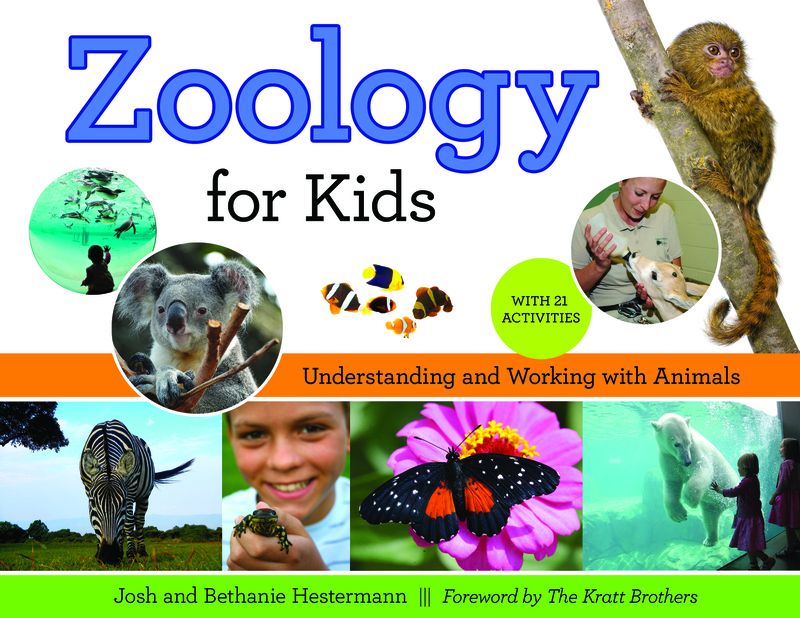 Three months later, Hestermann and her husband, Josh, submitted an extensive proposal based on a sample Reardon shared with them, which included a complete chapter, an annotated table of contents and ideas for 21 zoology-based activities. “It was very intense,” she says. “It wasn’t like [Reardon] was handing us anything on a golden platter. We really had to prove that we had what it took to write the book.” Just three weeks later, Chicago Review Press confirmed that the couple did. For the past 13 years, Hestermann has navigated the field with her husband, who is a zoologist. “That whole world is fascinating, just rich and full of ideas to write about,” she gushes. “Even though I’m a liberal arts person, I care about the environment and wildlife conservation and I hope what I write will help others care too.” The couple wanted to find a way to unite their interests, and a zoology book seemed like the perfect idea. The training Hestermann received at DePaul helped prepare her for the grueling editorial process. “I was doing on-the-job training until I went to DePaul,” she says. “That was really when I got into the nitty-gritty and started learning how to write a science article, how to write to difference audiences and how to pitch.” Professors Ted Anton and Miles Harvey became mentors to Hestermann during her time here, helping her with everything from technical writing to the publishing process. “It enhanced everything and opened up so many doors—I’m sure I haven’t even experienced how many doors it’s going to open for me yet,” she enthuses. You are currently browsing the DePaul Advancement News blog archives for April, 2015.